(OMNS, Feb 14, 2012) The routine administration of vaccinations continues to be a subject of controversy in the United States, as well as throughout the world. Parents who want the best for their babies and children continue to be faced with decisions that they fear could harm their children if made incorrectly. The controversy over the potential harm of vaccinating, or of not vaccinating, will not be resolved to the satisfaction of all parties anytime soon, if ever. This brief report aims to offer some practical information to pediatricians and parents alike who want the best long-term health for their patients and children, regardless of their sentiments on the topic of vaccination in general. When vaccines do have side effects and adverse reactions, these outcomes are often categorized as resulting from allergic reactions or the result of a negative interaction with compromised immune systems. While either type of reaction can be avoided subsequently (when there is a history of a bad reaction having occurred at least once in the past as a result of a vaccination) by not giving the injections to the patient. For first time vaccine administration, it is vital to try to avoid encountering a negative outcome. 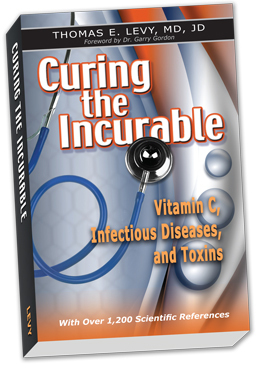 Due to the fact that all toxins, toxic effects, substantial allergic reactions, and induced immune compromise have the final common denominator of causing and/or resulting in the oxidation of vital biomolecules, the antioxidant vitamin C has proven to be the ultimate nonspecific antidote to whatever toxin or excess oxidative stress might be present. While there is also a great deal of dispute over the inherent toxicity of the antigens that many vaccines present to the immune systems of those vaccinated, there is no question, for example, that thimerosal, a mercury-containing preservative, is highly toxic when present in significant amounts. This then begs the question: Rather than argue whether there is an infinitesimal, minimal, moderate, or significant amount of toxicity associated with the amounts of thimerosal or other potentially toxic components presently being used in vaccines, why not just neutralize whatever toxicity is present as completely and definitively as possible? By potential toxicity considerations alone, then, there would seem to be no good reason not to pre- and post-medicate an infant or child with some amount of vitamin C to minimize or block the toxicity that might significantly affect a few. 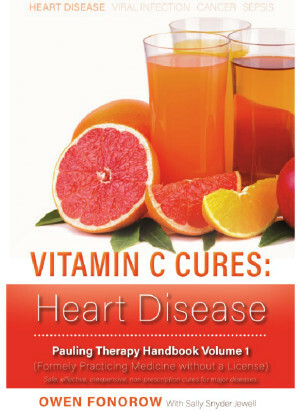 However, there is another compelling reason to make vitamin C an integral part of any vaccination protocol: Vitamin C has been documented to augment the antibody response of the immune system (Prinz et al., 1977; Vallance, 1977; Prinz et al., 1980; Feigen et al., 1982; Li and Lovell, 1985; Amakye-Anim et al., 2000; Wu et al., 2000; Lauridsen and Jensen, 2005; Azad et al., 2007). As the goal of any vaccination is to stimulate a maximal antibody response to the antigens of the vaccine while causing minimal to no toxic damage to the most sensitive of vaccine recipients, there would appear to be no medically sound reason not to make vitamin C a part of all vaccination protocols. Except in individuals with established, significant renal insufficiency, vitamin C is arguably the safest of all nutrients that can be given, especially in the amounts discussed below. Unlike virtually all prescription drugs and some supplements, vitamin C has never been found to have any dosage level above which it can be expected to demonstrate any toxicity. Vitamin C as sodium ascorbate powder will also work well. Infants under 10 pounds can take 500 mg daily in some fruit juice, while babies between 10 and 20 pounds could take anywhere from 500 mg to 1,000 mg total per day, in divided doses. Older children can take 1,000 mg daily per year of life (5,000 mg for a 5 year-old child, for example, in divided doses). If sodium must be avoided, calcium ascorbate is well-tolerated and, like sodium ascorbate, is non-acidic. Some but not all children’s chewable vitamins are made with calcium ascorbate. Be sure to read the label. Giving vitamin C in divided doses, all through the day, improves absorption and improves tolerance. As children get older, they can more easily handle the ascorbic acid form of vitamin C, especially if given with meals. For any child showing significant bowel sensitivity, (e.g., gas or diarrhea) I recommend either using liposome-encapsulated vitamin C, or the reducing the amount of regular vitamin C to an easily tolerated amount. Even taking a one-time dose of vitamin C in the dosage range suggested above directly before the injections can still have a significant toxin-neutralizing and antibody-stimulating effect. The likelihood of having a positive outcome results improves from extending the pre- and post-dosing periods of time. The truth of the web business market is greater than it appears to be. Let’s see it?